Sacramento: How Do I Know My Water Softener Is Working? Do you think about your water softener a lot? The answer is probably only “yes” if you’ve started noticing hard water build up on your dishes, or on fixtures and other areas around the house. You might also notice a difference in the taste and quality of water coming from your tap, or a gradual change in the water pressure itself — these are all reliable signs that something may be wrong with your water softener. If you want to be thorough, you can have your water tested to see how hard or soft your water is. If the tests come back with high levels of dissolved minerals even with a water softener in your home, it’s likely time to either service your water softener, or consider replacing it. As a rule, you should have your water softener serviced at least once every year. If you live in an area of the country with especially hard water, you may want to increase your servicing schedule to every six months, as hard minerals wear on softeners and decrease their efficiency over time. Your service schedule should also vary based on the type of water softener you have. Some softeners require salt as part of the softening process, so replacing the salt in these softeners can (and should) be done on a regular schedule set up according to your household water usage. Your local Culligan can always service your existing softener, or recommend a schedule for you, if you’re the DIY type. Just like all major appliances, water softeners eventually run into the end of their useful lives. If you’ve been asking yourself, ‘how do I know if my water softener is working properly?’ you may already be on the path to considering whether routine maintenance is enough to keep your softener working the way it needs to. Want to find out for sure if your water softener is working? The easiest way is to call your Sacramento Culligan and schedule a complimentary home water test. Situations such as the lead contamination scandal Flint, Michigan have revitalized attention on lead in water, and the harmful effects it can have on our health. 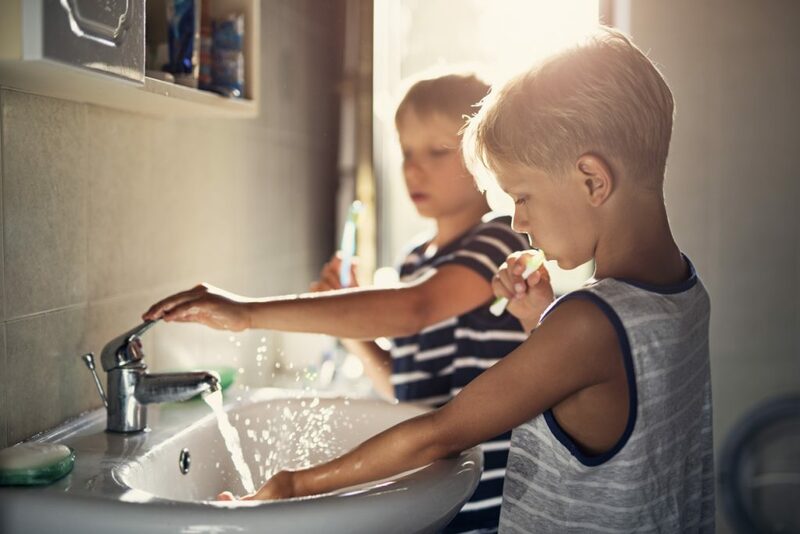 Lead is still common in plumbing in the [dealer info=”location”], and lead in drinking water can have serious consequences for adults and especially children. Your [dealer info=”dealer”] can test your water for lead, as well as any other contaminants. You can also find home water tests in your local hardware store – just read the labels carefully to make sure they’re intended for lead detection. In most cases, you’ll have to collect a water sample from your tap and mail it off for testing, with results back in a few weeks. Learn more about lead in water, or schedule a home lead water test today with [dealer info=”dealer”] to make sure your drinking water is safe if you have any concerns. What are HAAs and Why Care? Both chlorine and chloramine are common methods used by cities and municipalities to treat water for homes and businesses. It’s a concern for some populations because certain kinds of HAAs have been found to cause cancers in some lab animals. Other side effects include skin irritation, skin inflammation, and even birth defects in some cases. New Jersey recently dealt with water that had been contaminated by elevated levels of HAAs, putting large populations of the state, specifically Newark residents, at increased risk for certain cancers. Massachusetts and West Virginia have also each dealt with recent haloacetic acid issues affecting their respective reservoirs. The reasons for these contaminations are not uncommon — issues like agricultural runoff, flooding, and sewage contamination are all contributing factors that many regions face when it comes to proper management of watersheds. The best way to prevent HAA contamination, as a result, is by protecting our water sources initially so that treatment like chlorination is needed as little as possible. How Can I Tell if I have HAA-Contaminated Water? The first step to identifying potential contaminants or toxins in your drinking water is to contact your local utility or public health department. They should be able to tell you not only what kinds of contaminants are in the water supply, but also what treatment method is being used to eliminate the health risks associated with those contaminants. You can also test water yourself with a home test kit, or arrange for a more advanced chemical test from a water expert like Culligan. After you determine what’s impacting your tap water, you can make a more informed decision about treating it. If you find out you have HAAs in your water, it will be helpful to know what kind in order to make sure that whatever treatment method you choose will effectively remove the specific haloacetic acid(s) present in your water. Different types of filtration and water treatment systems are generally specialized to address different water issues, so it’s best to talk to a professional like your Sacramento Culligan Man to both find out what’s in your water, and the best method to treat it. Culligan provides several water filtration and treatment products that effectively remove harmful haloacetic acids and are certified by the Water Quality Association and NSF International to provide the best-quality drinking water available. In order to ensure you have clean, un-contaminated drinking water in your home, it’s recommended that you have your water tested at least once a year. If you rely on well water for your home, you should be testing your water every six months for optimal safety and drink-ability. Additionally, if you live near an agricultural area, or if your region has recently experienced flooding, if your well has undergone work or repairs, you’ll want to test your water as soon as possible to ensure no contaminants have been introduced into the supply. Your Sacramento Culligan Man is always happy to test your water and learn your individual water needs. He or she can also make a recommendation about what kind of water treatment system or haloacetic acid water filter would be right for your home and your water supply. Sacramento – Do I Need a Whole-Home Filter? Many people may be unsure as to whether or not they need a whole home water filter. It can be a difficult decision that has several factors worth considering. Read below to decide if a whole-home water filter from your Sacramento Culligan Dealer is right for you. Do you have municipal or well water? Are you worried about pesticides? Does your area have lead or particularly hard water? Will a Whole-Home Filter Work? After deciding what aspects of your tap water you are worried about, find out if a whole-home filter will remove that contaminant. Find the total micron rating needed to filter out that specific contaminant. Once you have that information, see if the filter’s micron size is smaller than what you need. If it is, then it should work to filter out any contaminant larger than the pore size on the filter. What Are Your Consumption Needs? Once you find out how small the pore size on the filter needs to be, consider what your water consumption needs are. How many people are in your household? Is there anybody else living there? What about kids and/or pets? Next, know how much water your family drinks. If you drink a lot of water and use it to cook most days, you may have high water consumption and could use a smaller filtering system. If your family drinks a lot of bottled water, consider how much you could save in costs and refrigerator space by looking into a Culligan Reverse Osmosis System. Would a Reverse Osmosis System Be Better? Does a Culligan Water Softener would better suit your water needs? Is water damaging your hair and skin? Is it discoloring the edges of your faucets and drains? If your needs extend in and beyond the kitchen, the a whole-home filter would be the better choice for you. However, if you want a filter for strictly cooking and drinking water, an RO system may be the best choice. Buying a water filter for your home and family can be a daunting task, but hopefully this information can make the decision a little bit easier. If these questions still leave you puzzled, the friendly representatives at your Sacramento Culligan dealer can help you make a more educated decision. It’s probably easier for moms to list things they don’t worry about when it comes to their children. From skinned knees to infections and keeping up with the growth curve, there’s almost no end to the worries ready to occupy a mom’s mind. Getting enough water into your kids for proper hydration is probably something that might also make the mom-worry list, especially during the summer months. But just because the weather is turning doesn’t mean helping kids get enough water into their little bodies should take a back seat. After all, it’s one of the few things we can help with that will go a long way not only for our kids’ health, but their attitudes as well. Pick up a few silly straws, or some with your child’s favorite character, to pop in their next water glass. Add some interesting ingredients: from cucumbers to fresh fruit or mint, flavored or infused water makes a big difference in how much both kids and adults are likely to consume. Similarly, try adding some interesting ingredients to your ice cubes for a cooling treat. It’s an old tip but it holds true: engage kids in the desired behavior, and they’re more likely to commit to it. So if you’re making infused water at home for example, bring them along to the grocery store and have them help you pick out ingredients, or let them try their own combinations of flavored water at home. When they’ve had a hand in the process, they’ll be more likely to be invested in trying the final results. Plus you might even discover some new and delicious ways to stay hydrated yourself! As the saying goes, you are your child’s first and best teacher. And it’s also true that they learn best by watching what you do, so it’s key to set a good example for kids to observe when it comes to drinking plenty of water. The good news is, there are lots of easy and fun ways to do this, and many of the ways to get kids to drink more water can help you stay motivated to drink your daily dose as well. So find a great water bottle, plop out a funny straw in your own water cup, or just make it obvious how you’re helping yourself to a big, cold glass of water after exercising, with your next meal, or simply whenever you get thirsty. Before you know it, your child will be parrotting your hydrating behavior right beside you. It may be that the tap water you’re used to drinking just doesn’t taste great. Maybe it has a slightly chlorinated taste or smell, or it just isn’t as fresh as you’d like. A great way to encourage kids and adults to drink more water is to make sure it’s the best tasting, highest quality water to start with. There are a number of ways you can filter your water at home, from an undersink filtration system like our Aqua-Cleer® Advanced drinking water system [/dealer-url] to pitcher filters or whole home systems that treat all the water before it reaches your taps. Getting fresher, better tasting water in your home doesn’t have to be a headache. Contact your local Culligan Sacramento to see what kind of filtration system or treatment plan would be right for you and your household to start drinking more water, today! Have you ever felt like you caught something but you’re not sure what it is? Whatever the case may be, it may be coming from your water. Below are common diseases that can be found in your water source, and what you can do to make sure that you’re drinking safe water. These four diseases could be lurking in YOUR water. Giardiasis is a diarrheal illness caused by a microscopic parasite. Once infected with Giardia, the parasite lives in the intestine and is passed in the species. During the past 30 years, Giardia has become recognized as a common cause of waterborne disease in humans in the US. The parasite can enter your water system in several ways, including sewage overflows, malfunctioning sewage systems, storm water runoff, and agricultural runoff. Common ways to kill Giardia include bringing your water to a rolling boil, using a reverse osmosis filter [link], or any filter with an absolute pore size of 1 micron or smaller. Norovirus is the name used for all of the viruses in a group that was previously known as “Norwalk-like viruses.” Norovirus causes intestinal illness and has been associated with outbreaks in many close-proximity areas. Noroviruses are found in every part of the United States and throughout the world. They may be found in water sources that have been contaminated with the feces of infected humans. The water can become infected in many of the same ways as Giardia that are listed above. It can be removed from water by bringing it to a rolling boil for one minute. Shigellosis is an infectious disease caused by a group of bacteria called Shigella. Common symptoms include diarrhea, fever, and stomach cramps. These symptoms can occur a day or two after being exposed to Shigella. The disease usually lasts 5-7 days. Causes of the disease include touching your mouth after being exposed to Shigella, eating contaminated food, or drinking contaminated water. Water contaminated with Shigella can be treated using chlorine, bringing your water to a rolling boil, or Reverse Osmosis filters. As you can see, most of these diseases can be kept away from your water by using one of Culligan of Sacramento’s many products. From Reverse Osmosis systems to Whole Home systems, we will make sure that your people get good, clean, safe Culligan Water. 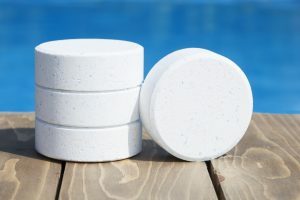 Chlorine vs Chloramine: What is Chloramine in Water? Chloramine is a chemical variant of chlorine that contains ammonia, and is generally safe to drink and use around the home in the same way traditional, chlorine-treated tap water would be. Cities have commonly used both chlorine and chloramine chemicals to treat municipal drinking water since the early 1920s and 30s. Chlorine became widely used during World War I when ammonia shortages reduced the availability of chloramine. As a result, chlorine remains common but chloramine is seeing increasing adoption, especially in densely populated areas. 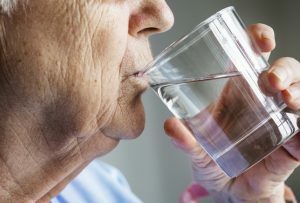 Some populations, specifically individuals on dialysis treatment and those with respiratory issues, may be sensitive to chloramines. If you, or your family members fall into either of these categories, it’s a good idea to check with your local drinking water provider to see if a switch is coming to your area. Chloramine is also harmful for fish and aquatic animals, so you’ll want to pay close attention if you’re used to supplementing your aquarium with tap water, or consider a chloramine filter. Why is Chloramine Added to Water? Water utilities typically use chloramine as a secondary disinfection method to ensure germs and other pathogens are removed from the water supply. It is most often used as a replacement for traditional chlorine, which can cause build up over time. Chlorine can also have a shorter effective period when it comes to water treatment, so in certain areas where water has to travel farther, chloramines can be more effective to ensure long-term water disinfection. Municipalities may also choose to use chloramine rather than chlorine because it can often lead to fewer complaints about taste and smell. Chloramine tends to have a less noticeable chlorine odor and taste while still protecting water safety and quality. Conversely, chloramines can be more corrosive than chlorine-treated water on pipes, so cities need to be diligent about the stability of the water infrastructure when introducing chloramines. And as we know, chloramine can also be a problem for dialysis patients, those with certain respiratory issues, can’t be used in aquariums, and can even impact the results and tastes of baking. It can be more difficult to determine if you have chloramines in your water than chlorine, simply because chlorine often comes with its distinct odor and taste. If you’re unsure if there’s chloramine in your water however, you can check with your local utility provider, either online or by calling your local office. The best way to determine if you have water treated with chloramines at your home, is always to have it tested. You can either purchase a water test kit at your local hardware store, or contact your local Culligan Man for a complimentary water test. If you’re among those affected by the presence of chloramines in water — and even if you’re not — you may want to consider a water filter to have fresher, better quality water in your home. There are many water filters and variations of filters, so it’s important to choose one designed specifically to remove chemicals like chlorine and chloramine. [dealer-url page=”product-reverse-osmosis”] Reverse osmosis filtration systems [/dealer-url] are a good starting point, since RO technology can effectively target and remove these kinds of chemical compounds. If you’re not sure where to start, or what type of filtration system may be right to help you remove chloramines from your water, you can always check with your local [dealer info=”dealer”]. He or she can help you better understand what’s in your water, and the best ways to remove it. Culligan has come a long way since its beginnings under founder, Emmett Culligan in 1936. He started his company with a simple goal — help people access better, safer water. It’s a message and a mission that has united Culligan and guided both our corporate entity and your local [dealer info=”dealer”] around the country since its inception. This idea continues to play a pivotal role in helping us align our values as an organization while we grow, and ground us in the importance of the work we do for local communities. From the early days of his company, Emmett Culligan believed in the importance of the work he was doing — that better water could lay the foundation for a better life. At a time when the middle class was expanding, he knew he could do even more to make life for everyday Americans better, starting with the water they drank and used in their homes. He also appreciated the health benefits that access to clean, filtered water could bestow, and long before hydration held the place it does now in the cannon of healthy living, Emmett lived with an uncommon commitment to hydration. He understood that good quality water facilitated everything from longer life to better athletic performance, resilient, youthful skin, and so much more, and sought to bring those benefits to every home and community Culligan served. It also became clear to him that softened and filtered water could make life easier, and more luxurious in the home. From easing the burden of cleaning and everyday housework, to helping laundry feel and look its best, Culligan knew soft water could be an affordable luxury for many Americans. He also knew that people wanted to feel confident in who they were filtering their water with – that it wasn’t just a product, but a service people would depend on and trust to local professionals. Some who were just as committed to their neighborhoods as they were — because they lived there, too. For his ideas to reach beyond his original Illinois headquarters, however, he recognized he needed to establish a franchise model that built on his commitment to water and its benefits, and the service that should come with improving your home’s water quality. He knew how important local expertise was when it came to water, and how much local knowledge could further help homeowners across the midwest, and eventually the entire United States. It was this vision — for local knowledge, and especially local water quality understanding —that eventually established the franchise model that today, helps Culligan remain leaders in local water quality. Then, as now, Culligan men and women are not only professional water quality experts, they’re neighbors and friends who live and work in the communities they serve. Many of our franchises remain family-owned and operated, some, like the original Culligan in Rosemont, Il, passed down from generation to generation. By focusing on water, its quality, and the people who can deliver, soften, and filter it, Culligan’s legacy of bringing better water to people everywhere endures through local dealers that understand the value of the water itself, and the service that stands behind it. Are you sending money down the drain every month? Chances are you might be without even realizing it. Water makes up the second largest utility expense for most households in the area, and there are many factors that make your bill higher than it needs to be. Appliances are another big culprit when it comes to unnecessary water usage. Older appliances especially have a higher tendency to leak and use more water than needed. The three biggest water wasters are typically toilets, faucets, and dishwasher, but don’t forget to check under-the-radar water appliances like air conditioners, water heaters, sprinkler systems, and refrigerators. It’s worth it to look into upgrading to Energy-Star certified appliances, or at least make sure you’re on top of the required maintenance for all your water-using appliances. Remember to use cold water when running your garbage disposal. Looking to stop extra spending in your bathroom starts with the toilet — install a low-flow toilet if you can. These reduce the amount of water used with each flush, saving you money each flush that really adds up. If a new toilet isn’t in the budget, add weights to the toilet tank to achieve similar results. You can also adopt a more laissez-faire attitude about flushing, if you haven’t already, to help cut down on non-essential water usage. Another way to reduce your water usage in the bathroom is to place a basin or bucket in the shower. Then, after your next morning routine, you’ll have water ready for house plants or gardens that would otherwise go to waste. According to Energy Star, older top-loading machines use around 40 gallons of water to wash a full load of clothes. Save on your water bill in the kitchen by using the dishwasher, if you have it. Running a dishwasher with a full load of dishes is more effective and efficient than doing dishes by hand. If you don’t have a dishwasher, find and keep a good basin or bucket in your sink to catch and reduce the amount of wasted water when hand-washing. Stay hydrated and save more water by keeping water bottles or a pitcher in the fridge — that way you’re not running the tap, and wasting water, waiting for it to get ice cold before you fill your glass. You can also consider composting your food waste rather than sending it down the garbage disposal. Not only will this spare your disposal a lot of wear and tear, it also helps prevent the extra water usage disposals need to process peelings and other food products. 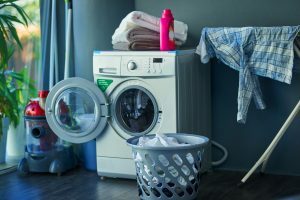 In the laundry room, wash clothes on a cold or tap water setting — using hot water for your laundry is usually unnecessary and consumes a lot more energy than tap-temperature water. Using a few of these simple tips can help you save water — and money — all around your home. And if you’re looking for even more ways to improve your household water efficiency, contact your local Culligan dealer for ideas, today! When you think of a place where delicate hearts and minds need special care, what is your first thought? If you were thinking about a school, you’re likely not alone. But there is a certain faction at the opposite end of the spectrum where such a need also applies. Whether you already have a loved one in an assisted living residence in the, or you are in the phase of choosing one, what questions should you be asking about the facilities and its water supply? How old is your targeted assisted living establishment? Many nursing homes are built on private well sites, which do not require any regulation from the EPA. While the majority of documentation as related to lead poisoning is with children, lead is not good for anyone, particularly seniors with weaker immune systems. Ask the provider if the facility is on municipal water or if it has its own system. If the nursing home does use well water, does it have proper prevention measures in place, such as backflow prevention devices, updated well caps that are vented, insect and vermin proof. Contingency and emergency planning for possible contamination is also important, as there should be alternative options available in the event of a well problem. Legionnaire’s is an atypical pneumonia caused by bacteria found in fresh water. Outbreaks of the disease in nursing homes have been well-documented over the past decade in the news, particularly when deaths are involved. A study in 2015 of more than 2,800 cases of the disease found that 533 (19%) of cases occurred specifically in a health care facility, such as a hospital and nursing home. The CDC has openly requested that all health care facilities do more to protect its plumbing systems from possible contamination. Ask your facility provider to provide you details on how regularly the disinfectant and chemical levels are monitored. Other naturally-occurring pathogens can cause issues with impaired immune systems, such as the elderly. Generally, Americans are growing worried about polluted drinking water. Many nursing homes use on-tap filtered water systems and/or have bottled water delivery on hand for its residents to have easy access to. Ask if the assisted living establishment your loved ones are considering are residing in uses a filter system. Taking care of one of the most essential elements for sustainable human life can help establish trust between all parties involved. A facility that invests in the health of its residents is a good sign that it takes itself seriously as an establishment.